John Hardy's Classic Chain collection features this fabulous pair of drop earrings. 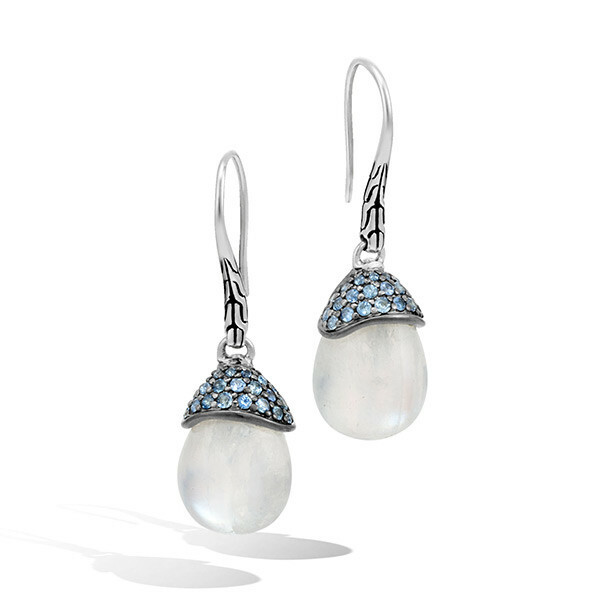 Egg-shaped rainbow moonstones are capped with sterling silver that is adorned with blue sapphires, and they dangle from French wires that are hand carved with the classic chain motif. Illuminate your stellar look with these amazing John Hardy earrings.